I got to meet up with lead okapi keeper Megan Lumpkin at the Dallas Zoo last week and she told me all about the DZ’s leading okapi breeding program! She was so nice and welcoming and let me see the DZ’s new baby okapi and the process by which they weigh her every morning and I even got to meet their oldest okapi and give her a good ear scratching! 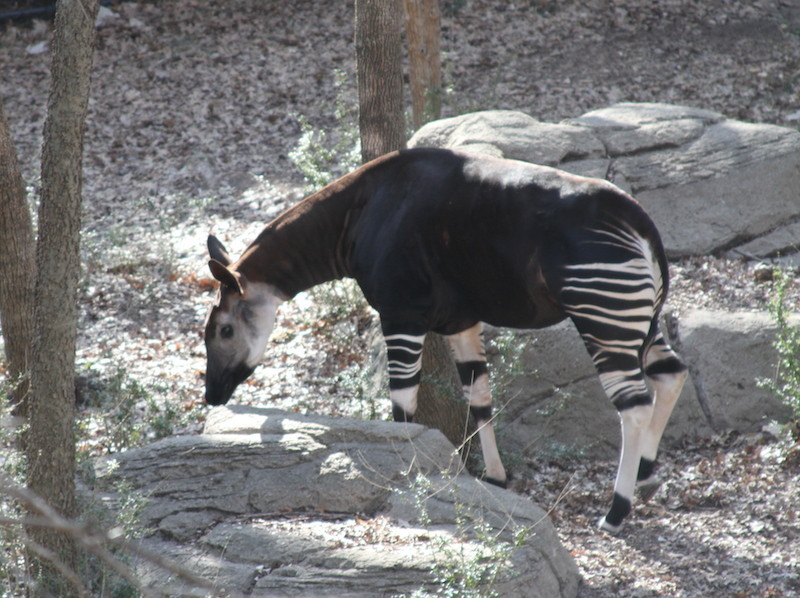 The okapi is large, reddish-brown hoofed animal that stands over 7 feet tall and can weigh over 700 pounds. Many people mistake them for a species of zebra because of the black and white stripes covering their back legs, but if you look close enough you might just be able to see their resemblance to their savanna cousin, the giraffe. The zoo has one of the best okapi breeding programs in the world, and one of the oldest. 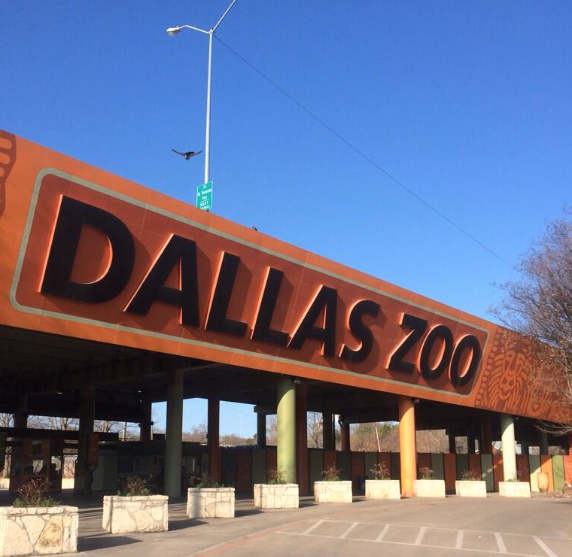 The Dallas Zoo has hundreds of species of animals in breeding programs, many of which are organized by the national Association of Zoos and Aquariums. These special breeding programs are called Species Survival Plans, and, according to the AZA website, are programs designed to cooperatively manage the breeding of threatened or endangered species within AZA-accredited zoos and aquariums. The Dallas Zoo has long been considered a world-class institution, especially when it comes to difficult-to-breed animals. One such legendary breeding program is that of the African okapi. The long sloping neck and sweet eyes of the okapi, along with the ossicones(unique horn-like protrusions on their head), 12 inch long tongue and down-right odd coloring make this animal unique and mysterious by any one’s standards. However, add in that they live alone deep in the Congo’s Ituri Rainforest, make sounds in frequencies so low they can’t be heard by humans and excrete a mysterious red oil from their skins and you have a truly one-of-a-kind endangered creature. Since the early 1980’s the Dallas Zoo has been ahead of the curve on keeping okapis. These strange and solitary creatures have always proved difficult to breed in captivity, but the Dallas Zoo has never had much trouble. Baby Amalsi, born Aug. 14, 2013, marks the 36th okapi born at the Dallas Zoo. 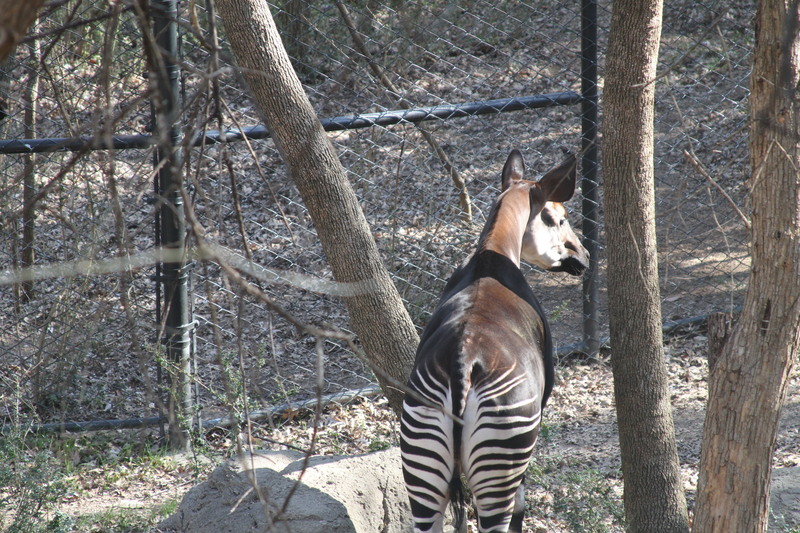 The first okapi to be born at the Dallas Zoo was Kwanini, a friendly 23-year-old female who loves getting branches of her favorite bush as enrichment and always appreciates a good ear scratching from her keepers. Because of this, much of what has been discovered at the Dallas Zoo has set the standards of care for okapi all over the world. They have discovered that the mothers and calves will spend most of their day apart, with the calf lying still in a nest while the mother feeds, and only come together four to five times a day for feeding.